Do you need a surveyor in North Shields? North Shields is a town on the northern bank of the River Tyne, in the metropolitan borough North Tyneside. It has grown from a small fishing village to incorporate the nearby village properties of Chirton, Preston and Billy Mill. Recent regeneration has lead to the improvement of local build quality and a number of buildings in North Shields are now notable. Andy Banks MRICS heads Right Surveyors North East, an independent property consultancy providing an efficient and personal service tailored to suit the clients’ needs. 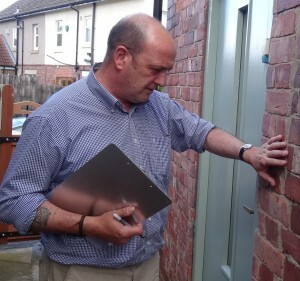 He is a member of the RICS, a specialist Building Surveyor and an experienced professional. of projects and acquisitions, large or small, residential or commercial. Andy is a Building Surveyor who has lived in the North East almost all of his life and has been practicing here for 13 years, a local lad who was educated in the North East. Please telephone Andy Banks MRICS and the team to discuss your building survey, valuation or other property requirements. Do you need a surveyor in Wellingborough? Martin Pendered & Co are an independent practice of Chartered Surveyors covering Wellingborough and the surrounding Northamptonshie area – helping clients with both residential survey and commercial property issues. 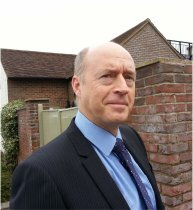 Martin is a Chartered Valuation Surveyor and a Fellow of the RICS. He has been a surveyor for over 40 years. Martin Pendered can help if you require an independent surveyor in Wellingborough, Northamptonshire for all kinds of professional work including building surveys, structural surveys, homebuyer reports or home buyer reports and property valuations, expert witness reports, party wall surveys and advice and other professional work carried out in or around the Wellingborough area. Other services include buildings reinstatement insurance valuations, schedule of condition reports, property advice, professional property work and boundary disputes. Wellingborough is a market town in Northamptonshire, lying on the River Nene. There are a number of noteable landmarks in Wellingborough including the railway station, which is a Grade II listed building. The steeple of All Hallows Church building is another unusual feature of Wellingborough, that has stood for 600 years and is a grade I listed building. 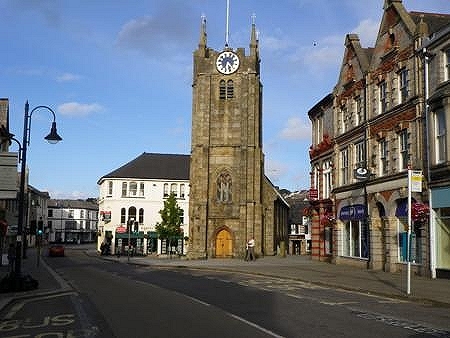 Do you require a Chartered Surveyor in Okehampton? Neal Reynolds is a member of the Royal Institution of Chartered Surveyors and is an independent surveyor providing an efficient and personal service tailored to suit his clients needs. Surveys and Valuations are undertaken by Neal Reynolds. His experience, expertise and detailed knowledge of local property and current market conditions means Parsonage Ward & Co are ideally placed to advise our clients on the best possible course of action for their property requirements. Neal is happy to discuss your requirements and quote for any proposed building survey, homebuyers report, management or other professional property work required. Okehampton is named after the river Okement which runs through the town. Mentioned in the Domesday Book as Ocmundtune, it has been a settlement since Saxon times. Notable buildings include the ruins of Okehampton Castle – originally a Norman building, it was rebuilt in the 15th century, and is now owned and managed by English Heritage. Crediton lies on the Tarka Line railway which runs from Barnstaple to Exmouth. Do you want a single fault assessment in Wadebridge? Wadebridge is a town in North Cornwall which runs either side of the River Camel. The bridge in Wadebridge is said to be built on wool as it was built from the profits of the wool trade. This bridge was constructed in 1468 to give safe passage across the River Camel. Are you buying a new house or commercial property? Do you want a structural survey, major defects report, single fault assessment, rebuilding / reinstatement valuation, building survey, property valuation, homebuyers report, property acquisition advice, or other property assistance in Wadebridge and the surrounding area, from a local Chartered Surveyor? Phil Routledge MRICS is a Chartered Building Surveyor with extensive knowledge of the property and building environment in and around Cornwall. Contact him on 01208 588 208 today! 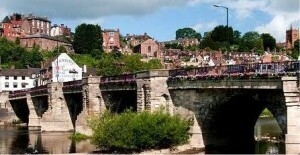 Looking for a surveyor in Bridgnorth? Bridgnorth is home to a variety of fascinating buildings and structures including Bishop Percy’s House, a grade I listed building and one of only a few properties of its type to survive the great fire of Bridgnorth. The town is also home to the steepest funicular railway in the country. 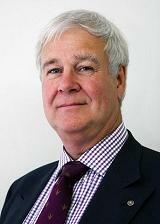 Local Director Chris Humphreys MRICS is a member of the Royal Institution of Chartered Surveyors. 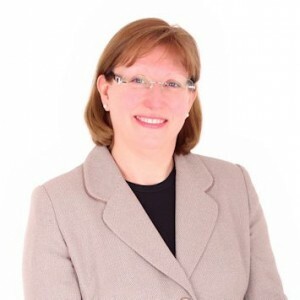 He heads Right Surveyors Shropshire, an independent professional property consultancy providing an efficient and personal service tailored to suit the clients’ needs. Chris is able to supply drawings for planning applications, architectural designs and building regulation plans, using the latest design software to produce three dimensional drawings, to give his clients a multi faceted view of their property or project. Please telephone Chris Humphreys MRICS and the team to discuss your building survey or other property requirements.